Sophia Loren making pizza fritta - fried pizza - in the movie "L'oro di Napoli"
Organized by journalist Elisabetta Cantone and art expert Francesca Silvestri of Dress in Dreams Movie & Costume , “Tu Vuò Fa il Napoletano - Facce da Pizza” promotes a deeper understanding and appreciation of the art of pizza making, and the neapolitan pizzaioli. 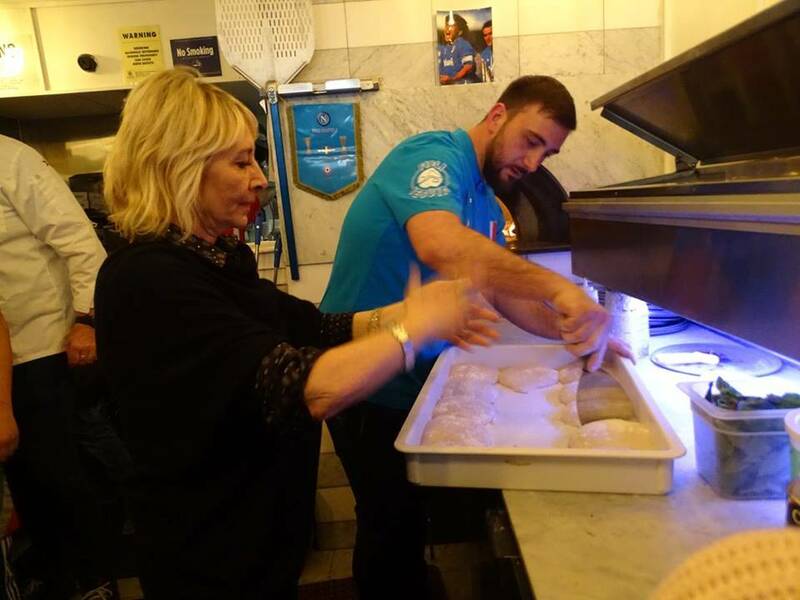 These events aim to educate others about this traditional practice because pizza making in Naples was added to UNESCO’s intangible cultural heritage list in December. 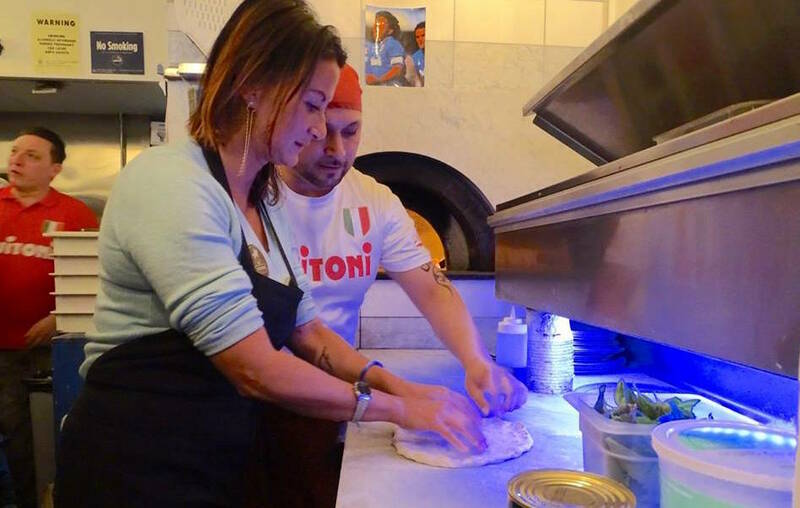 As Elisabetta Cantone explains, “we intend to share the excellence of pizza making through the cinema” because "cinema has always recounted the dinner table and its liveliness demonstrating the transformation of a country and its history" when asked about this series of events concerning Neapolitan Pizzaioli and their pizzas in film. On the first day of "Facce da Pizza", in Rosario Procino and Pasquale Cozzolino's Ribalta Pizzeria, guests were shown a captivating homage to pizza in cinematic history. 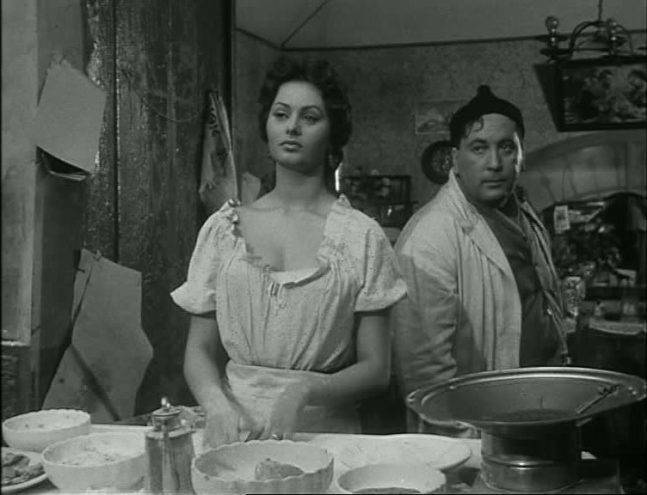 Some of the most iconic scenes in film, like Sophia Loren making “pizza fritta” in L’oro di Napoli, were shown in the packed and lively atmosphere of the renowned pizzeria. 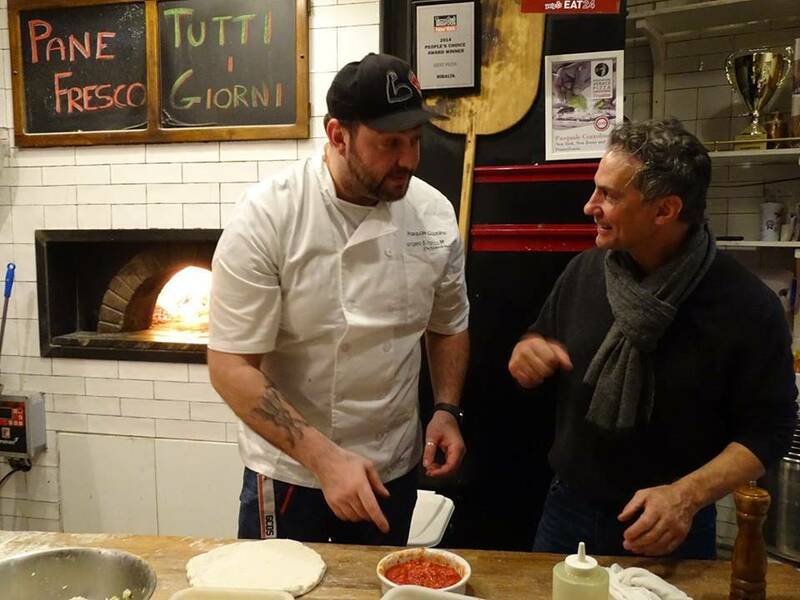 Afterwards, Chef and Maestro Pizzaiolo of Ribalta, Pasquale Cozzolino was joined by Rosario Granieri, pizza master at Rossopomodoro from Eataly Flatiron, to craft some delicious pizzas, each one dedicated to a movie icon. 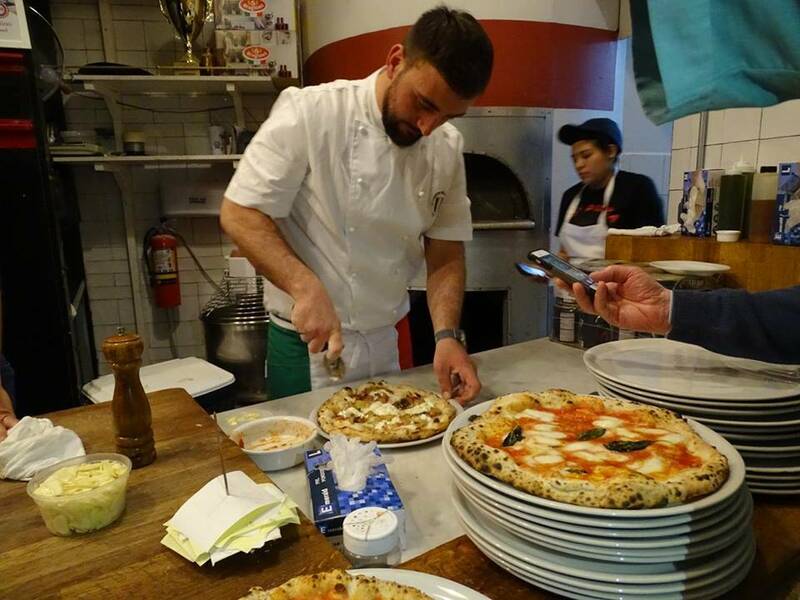 Matteo Troncone, director of "Arrangiarsi: Pizza… and the Art of Living" - a film inspired by his journey in Italy to discover the secrets of Neapolitan pizza - also joined the two pizzaioli to prepare his own pizza. 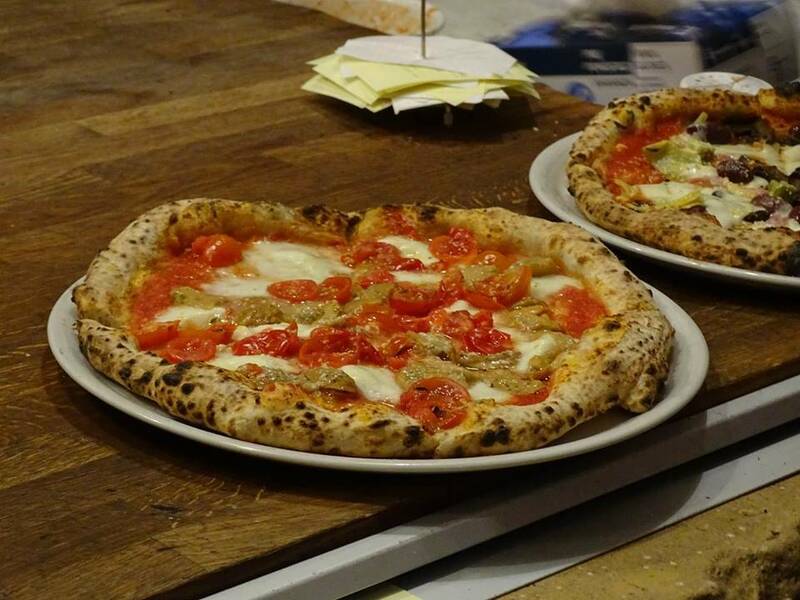 To make a traditional Neapolitan pizza, authentic and fresh Italian ingredients are fundamental. 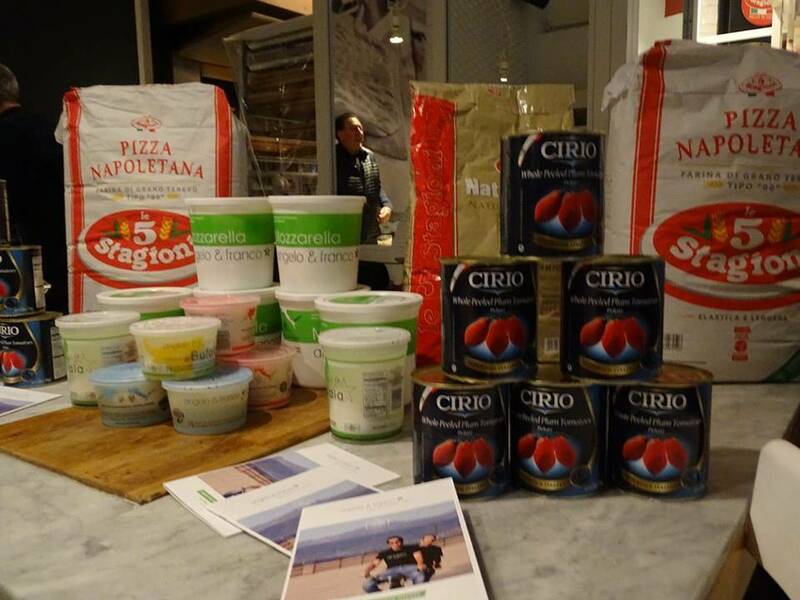 The chefs had the best Italian products to create magic with their artistry: Cirio, one of the finest tomatoes producers, Le 5Stagioni flour, and Angelo & Franco - The Mozzarella Guys, producers and importers of traditional mozzarella and cheese from the Campania region now based in Los Angeles. These brands also served as sponsors of the event. Making a pizza is more than just using the best ingredients, it is an art. 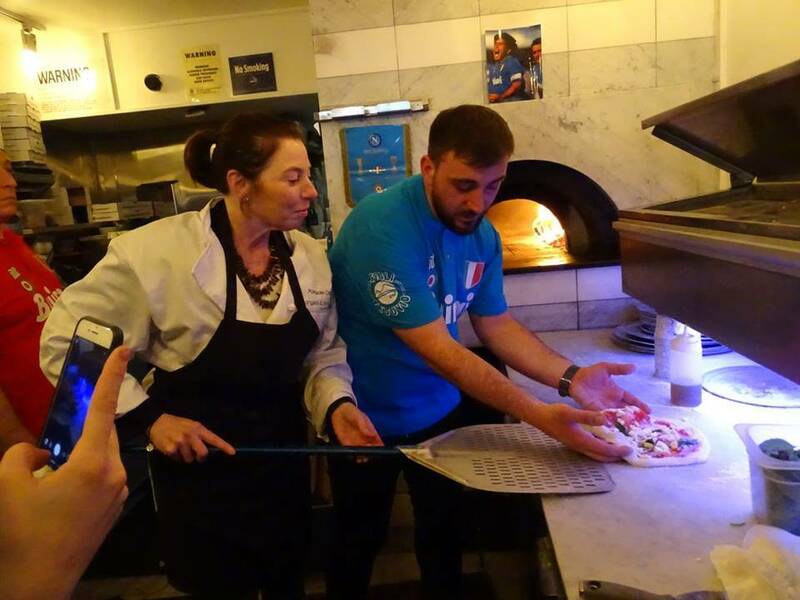 To demonstrate the level of precision and skill that goes into it, a master class was taught at Ciro Iovine’s Song’ e Napule pizzeria using fresh and delicious ingredients courtesy of Cirio, Le 5Stagioni flour, and Angelo & Franco - The Mozzarella Guys. This final event drew an excitable group of pizza-lovers eager to learn and celebrate. 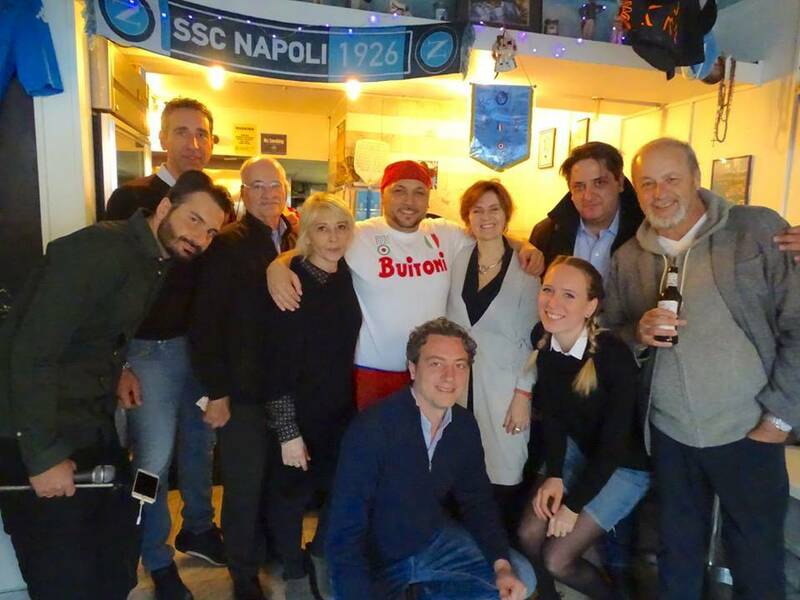 The Master pizzaioli, Pasquale Cozzolino and Rosario Granieri, along with Ciro, directed the participants Letizia Airos, Editor in Chief of i-Italy, Elisabetta Cantone, and Gabriella Lepore Gaspar, former Director of Ferrara Bakery NYC ,on how to make their first pizza. The excited crowd, enjoying delicious appetizersーbread and ricotta, crochette, salame, and prosciuttoー cheered on the women as they learned various techniques and tricks. Overall, the event was a success highlighting the significance and regard of maintaining cultural traditions.